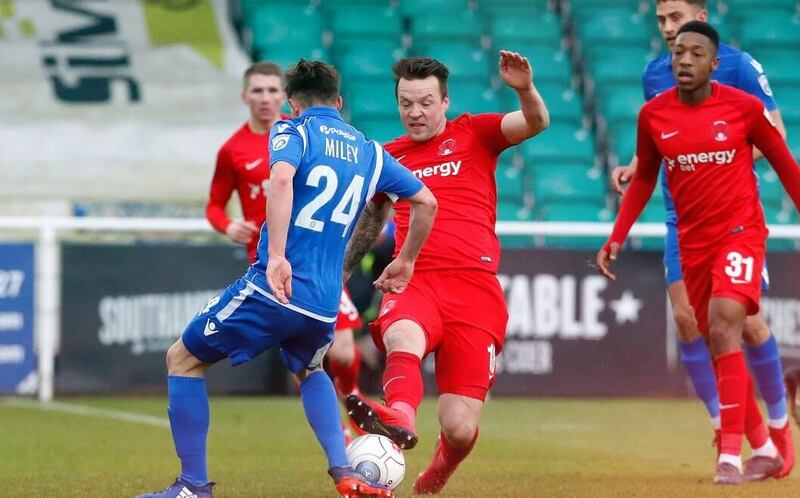 Leyton Orient drew following a goalless game against Eastleigh in what was frankly a dour affair in Hampshire. Despite a 0-0 draw both teams will probably be happy to pick up a point and further cement their mid table positions in the National League. Make no mistake this was a drab match devoid of any soul and with very little to entertain the frozen fans of both teams but the O’s will take anything they can get at the moment with their perilous home form a major concern for the O’s fans. The east London club fall a place to 17th whilst Eastleigh remain in 14th spot. The distance between Leyton Orient and Solihull Moors in the last relegation place in 21st remains at 8 points following Solihull Moors 1-1 draw with fellow relegation contenders Torquay up in the Midlands. This was a result that did little for either team particularly as Barrow moved up a spot to 19th with a surprise away win at Maidenhead Town over in Berkshire. A crowd of 2,030 braved the Arctic conditions and probably wished they’d stayed at home in front of the telly as both teams played out a cautious and ultimately dull stalemate at Eastleigh. You could tell both teams were scared stiff of conceding a goal and were more than pleased to see out this affair. 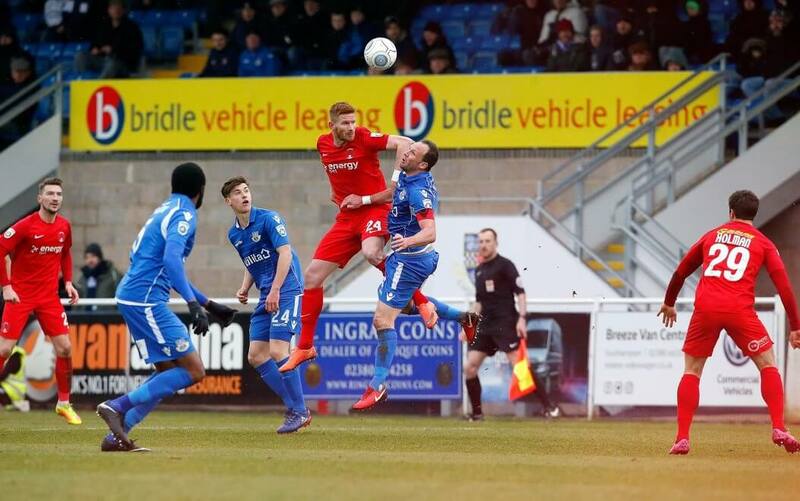 For the home team, they played out their second successive goalless draw at the Silverlake Stadium as the Spitfires, playing their first match in three weeks thanks to the weather, brought back Mark Yeates and ex-Orient striker Paul McCallum into their starting line-up. Since Eastleigh had last played in another dull 0-0 home draw with Halifax, the O’s had squeezed in four games in the National League and FA Trophy but, like Eastleigh, they had gone five games without a win. The game started scrappily and the first meaningful shot on goal did not arrive until the 18th minute when Yeates for the home side bustled down the left but fired wide of the near post. Orient responded with the game’s first corner and but Eastleigh had plenty of bodies back to block out Dan Holman’s strike. Yeates wasn’t far away with a low, drilled effort after an Eastleigh break down the left as the home side tried to add impetus to the game. It was to no avail though as the drudgery of the match seemed to focus in the middle of the park with both teams playing like nervous school boys on their first date. There was a hint of promise for Eastleigh when Gavin Hoyte advanced down the right and crossed towards McCallum, but the strikers header was easily gathered by Brill and Orient themselves came close to scoring on 36 minutes after Reda Johnson had been booked for handball outside the area. O’s skipper Jobi McAnuff stepped up to take it from inside the ‘D’ and expertly curled it towards to top corner only for the ball to clip the underside of the bar. It was to be the only real moment of magic in a dismal first half. Eastleigh started the second half with intent and twice went close in the opening minutes as Williamson’s downward header from Yeates’ left-wing cross wasn’t too far away from creeping inside the near post and then the same duo combined again on the left of the area and Yeates’s delicately weighted shot bent just past the far upright. Minutes later and Ex Arsenal goalkeeper Graham Stack saved Holman’s goal bound shot after the Os’ man had shot past his man and into a threatening position. The Os almost snatched a goal in the 77th minute when, following determined work by Josh Koroma, fellow sub Macauley Bonne’s shot ricocheted wide. Bournemouth loanee Matthews wasn’t far away with an 18 yard shot that flew just over the crossbar for Eastleigh and then Orient had one last chance when Bonne headed wide of the near post from James Brophy’s cross. Still a point is a point for the O’s and safety is the key element.